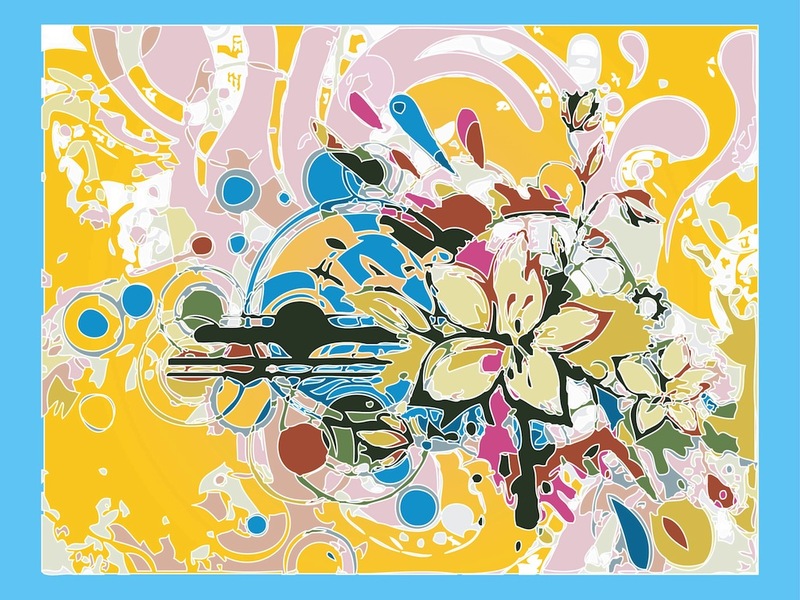 Artistic vector graphics of flowers and abstract shapes in pastel colors. Floral shapes, plant parts and random shapes in many different colors. Modern painting vector illustration for your posters, wallpapers, interior decorations, art prints, clothing patterns, fabric prints, greeting cards and background images designs. Tags: Art, Colorful, Colors, Floral, Invitation, Painting, Pastel, Plants, Shapes.